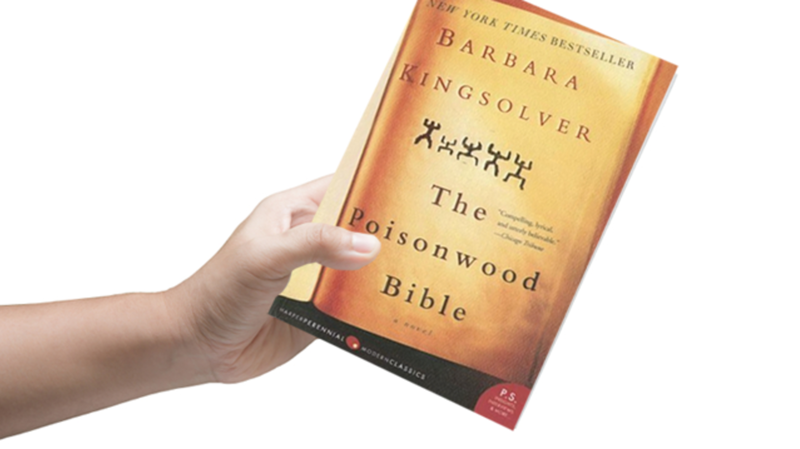 Today is acclaimed author Barbara Kingsolver’s 60th birthday. Let’s celebrate by taking a closer look at her most renowned novel. 1. A Non-Fiction Book Inspired It. If you’re curious about the political upheaval that affects the book’s central characters, turn to the text that inspired Kingsolver in the first place. Journalist Jonathan Kwitny’s 1984 book Endless Enemies is a cry of outrage over what he believes is the American government’s pattern of backing tyrants in the Third World. In addition to covering the death of Congolese prime minister Patrice Lumumba, Kwitny’s book focuses on America’s involvement in Grenada, Iran, Ethiopia, Chile, and many more. 2. Kingsolver’s father also took his family to Africa—with very different results. 3. The novel was a decade-long project. After reading Endless Enemies, Kingsolver decided to write about a place she knew from childhood, but before she could start writing she had to research all the political turmoil she did not understand as a child. The author stuffed her ideas, clippings and notes into a file cabinet labeled “DAB”—the Damned Africa Book. As she told the Guardian in 2013, Kingsolver even moved to the Canary Islands for a year to facilitate quick research trips to Africa. To make matters trickier, she was banned from visiting the Congo for speaking out against strongman Mobutu Sese Seko, further delaying her process. 4. Writing from five points of view took some work. 5. It helped that Kingsolver describes herself as a compulsive writer. Kingsolver has said that she wakes up extremely early “because my head is too full of words, and I just need to get to my desk and start dumping them into a file.” How early? Four a.m. is her usual wakeup time. 6. Kingsolver used a family story to make her political point. Although Kingsolver’s interest in cultural imperialism drew her to the novel’s setting, she took a savvy approach to the subject matter by working her political point into a bigger narrative. As she explained to The New York Times Magazine in 1998, "If I were to write a nonfiction book about the brief blossoming and destruction of the independence of the Congo, and what the C.I.A. had to do with it, then probably all 85 people who are interested in the subject would read it. Instead I can write a novel that's ostensibly about family and culture and an exotic locale. And it's entertaining, I hope." 7. The book includes quite a bit of foreshadowing. 8. Green mambas really are that deadly. Even though the novel’s Price family was woefully unprepared for the snakebite, they probably could not have stopped death by a green mamba. Mambas are so venomous that death can occur in less than 30 minutes, and the snakes can strike quickly, often falling from trees. 9. Anatole’s facial markings are illegal. Anatole’s markings are now considered illegal in many parts of Africa. The “cuts” on his face are tribal marks to identify the family and tribe as well as show bravery. Now many people consider scarification a human rights violation. Although Nelson is horrified to find out that Leah and Adah are twins, having a pair of babies is not always considered an evil omen in Africa. In Nigeria, just northwest of the Congo, Yoruba culture gives twins special names, as they are believed to have preternatural powers. 11. Adah really could lose her hemiplegia. Towards the end of the book Adah says she is “losing [her] slant.” This outcome may seem like a fairy tale ending, but it’s actually a medical probability. When hemiplegic children are encouraged to participate in daily activities like walking in the jungle, many individuals make remarkable progress. 12. There have been efforts to ban the text. Although The Poisonwood Bible is a compassionate and interesting book that introduces many readers to the complex history of Africa, not everyone is a fan. A pastor has argued that it portrayed a “powerful negative message of intolerance for Bible believers,” citing the paranoid and bigoted Nathan Price as the main problem. 13. Kingsolver put her advance to good use. Want more socially conscious literature? So does Kingsolver. She used the rumored $1 million advance for The Poisonwood Bible to establish the Bellwether Prize, an award for unpublished “socially engaged fiction” and authors with “outstanding literary skills, moral passion, and the courage to combine these strengths in unusually powerful fiction.” Since 2012, the award has been known as the PEN/Bellwether Prize for Socially Engaged Fiction.